Lota garage is the number one, car repair and MOT station in Coventry, our modern facilities set up to cater for all types of vehicles, offering a professional service for all our customers 6 days a week. We are are approved by the Government appointed Vehicle Operator Services Agency (VOSA) and all MoT tests are completed by MoT testers nominated by VOSA. What document do I need to take with me? Once you have booked your vehicle in for its MoT, you will need to take your Vehicle Registration Document – often referred to as the 'V5' document. 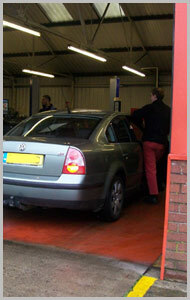 You can book an MOT up to 28 days in advance of its due date. The MoT certificate is only required if you would like the new MoT to run for more than 12 months. If the vehicle fails its MOT, it does not meet legal requirements and must be repaired to comply with MOT Test standards. The re-test of your vehicle will be FREE.